Reebok, the sportswear brand, has partnered with sports broadcaster Eurosport to produce a TV show documenting the Reebok-sponsored CrossFit Fitness Championships. 'The Box' starts on Saturday (14 April) and will feature people competing in the 2012 Reebok CrossFit Fitness Championships in the UK, Spain, France, Italy, Germany, Russia and Sweden. The partnership with Eurosport coincides with 'The Sport of Fitness Has Arrived' – Reebok's global integrated marketing campaign. It aims to use Reebok's association with CrossFit to change the way people think about fitness. 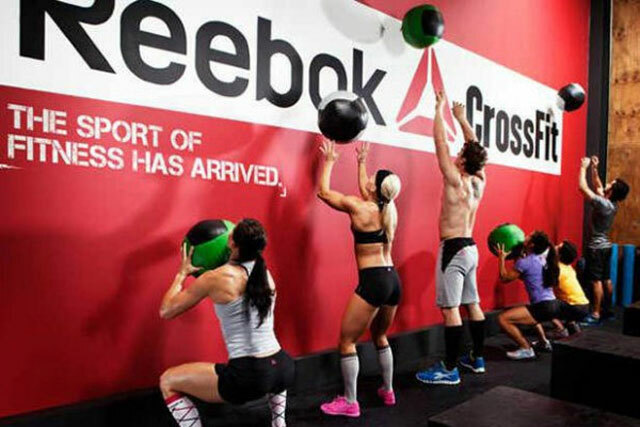 Reebok signed a long-term partnership with the strength and conditioning programme CrossFit in 2010. The CrossFit Games challenge people to test their fitness through a series of CrossFit workouts. 'The Box', so called because CrossFitters call their gym a "box", will broadcast every Saturday morning for 16 weeks. Each show will be repeated the following week. Online, a dedicated website (http://thebox.eurosport.com/uk/index) will provide information about how to enter the championships as well as general information about CrossFit, local events and 'The Box' TV schedule. Katrin Ley, brand director for Reebok, EMEA, said: "The fact that Europe's leading sports broadcaster is documenting and televising the 2012 Reebok CrossFit Fitness Championships demonstrates a shift in the way that people perceive and define fitness. "We believe that CrossFit can be as exciting as any sport because of the incredible camaraderie, competition and fun that it brings. "We're in a year of major sporting events, and the 2012 Reebok CrossFit Fitness Championships is an accessible competition open to all fitness enthusiasts across Europe." Last week Eurosport and BSkyB announced that Eurosport's 3D coverage of the London 2012 Olympic Games would be broadcast on Sky 3D, the UK’s only 3D channel. Eurosport will be the only commercial channel with live Olympic footage in the UK. The BBC has the 2D broadcast rights for the tournament in the UK and has announced it will partner with pay-TV operators Sky and Virgin Media to offer 24 channels of live action from the tournament.